Waxy, nodding pure-white flowers. 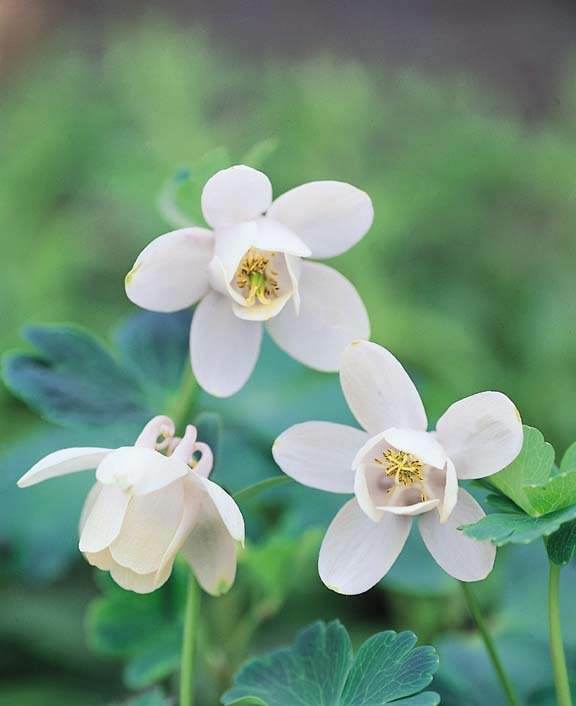 Dwarf White columbine forms attractive, compact 8 in. tall plants. Leaves are thicker and bluer than other columbines and the rounded leaflets frequently overlap. Dwarf White columbine is a particularly good columbine to place at the front of shaded borders, will also grow beautifully in containers. Winter hardy to zone 3.